Warren Cullar opened his first art gallery as a senior in college. After receiving a BFA in 1965, he joined a staff of six artists in a commercial ad agency and as he says: “I learned more in that one year than I did in 5 years in college.” A bigger job was offered to him and he spent a brief career as an advertising director in a large department store. A move to Mexico to study art at the Instituto Allende in San Miguel de Allende was a major influence. 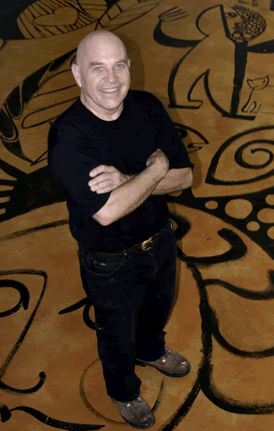 The color of Mexico is evident throughout the art he has produced during his career. With an MFA degree under his belt, he received a teaching contract from Hardin Simmons University in Abilene, Texas and later opened the art department at Western Texas College, completing 8 years of experience as a college art instructor. After spending the summer of 1976 in Egypt on a study grant that he had received from the college, he made the decision to become a full time professional artist. He came to the Austin area and opened an art gallery and 5 years later moved into the Austin home he has now occupied for 30 years. Warren started his art career by selling his hand pulled stone lithographs and watercolors. In the December 1978 issue of Southwest Art Magazine he was featured in an 11 page article about his art. He continued to produce watercolors and enjoyed selling his work in art fairs in Texas, Colorado, and California. In 1982 he read a magazine article about the need for an adventure artist and began traveling the world using his skills as an artist on scientific expeditions in Peru, Brazil, Venezuela, Spain, and Easter Island, to name a few of the 38 countries stamped in his passport. Warren travels the world with a sketch book and watercolors to record his impressions of the various cultures and peoples he encounters. In the early 90’s he built an 840 sq. ft. painting studio on the back of his wooded property and took up acrylic painting; then he produced hand pulled serigraphs and soft ground etchings. One of his collectors asked him to create a sculpture for women who had survived breast cancer. The sculpture was completed and he was captivated by working with clay. That was the first bronze he had created since his student days in Mexico. A large bronze commission was awarded to him and a new direction emerged. Today Warren laughs at the thought that for 20 years painting in watercolor was all he ever wanted to do. In 2004 he built a second studio dedicated to sculpture. 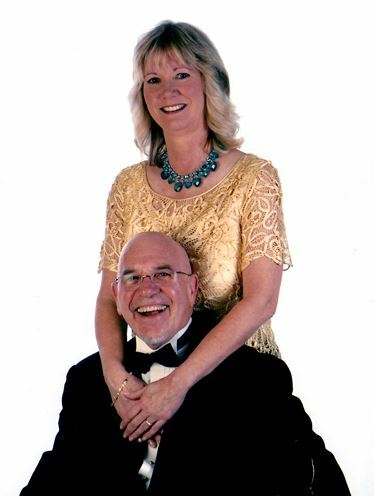 Today, Warren and his wife, Kitty Biel, who has a dual career as an independent CPA and Cruise Planner, live and work from their spacious home, two studios and sculpture garden in Austin, Texas. You can find Kitty working in her tree top office on the second floor of their home and Warren creating in the sculpture or painting studio. We welcome you to join our growing network by connecting with Warren on Facebook, or Twitter, or by signing up for our mailing list. Please send Warren an email directly with questions or comments.